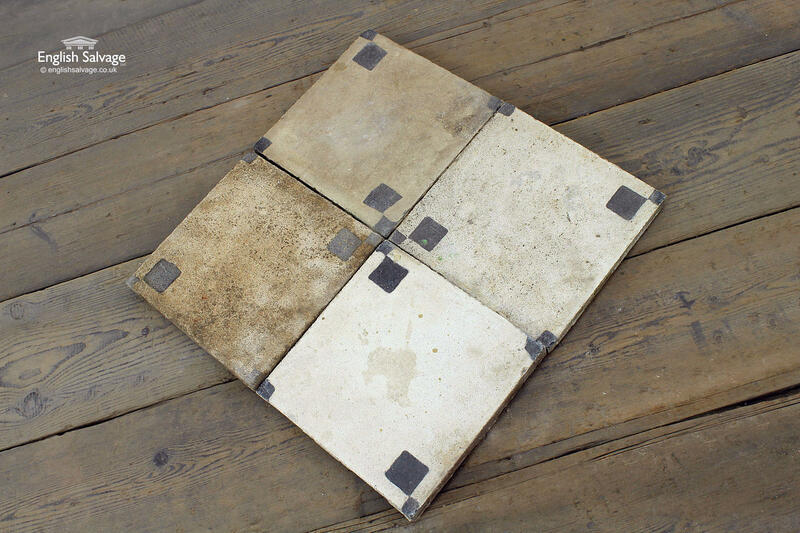 Lovely encaustic cement tiles late 19th, early 20 century. The colour layer is approximately 7mm thick. 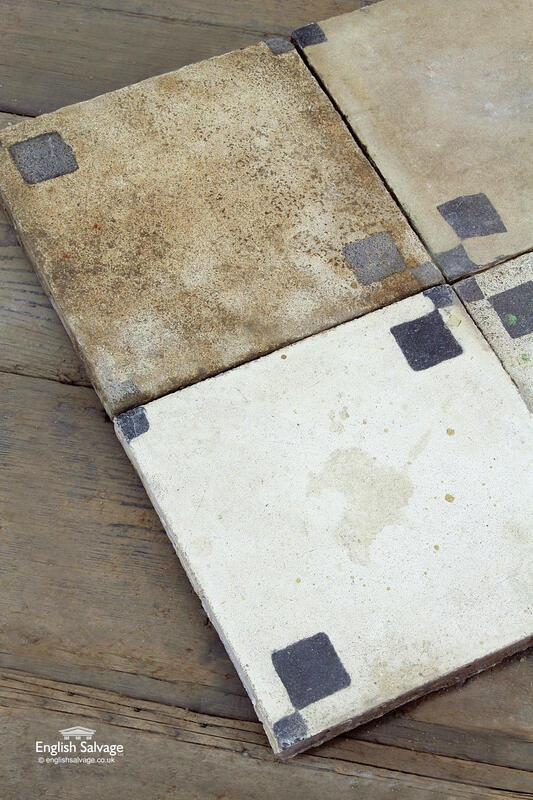 They clean up well with lovely patina and work well with these border tiles available here. £137.50 per square metre inc VAT (25 tiles). Remnants of fixing mortar, wear and tear as expected with age. 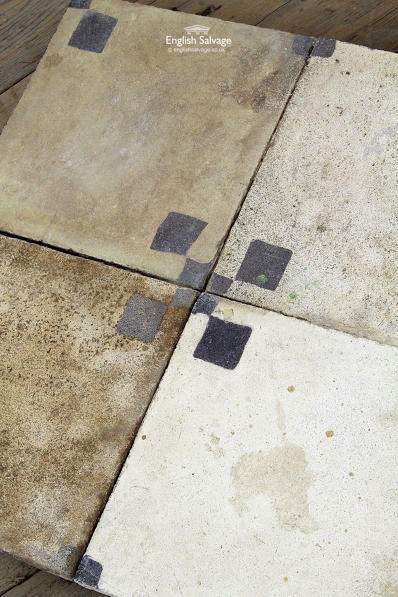 Tiles shown in photos have been wiped clean with water, please note they are sold uncleaned. Loc: row 1 pallet b & x1 in showroom.